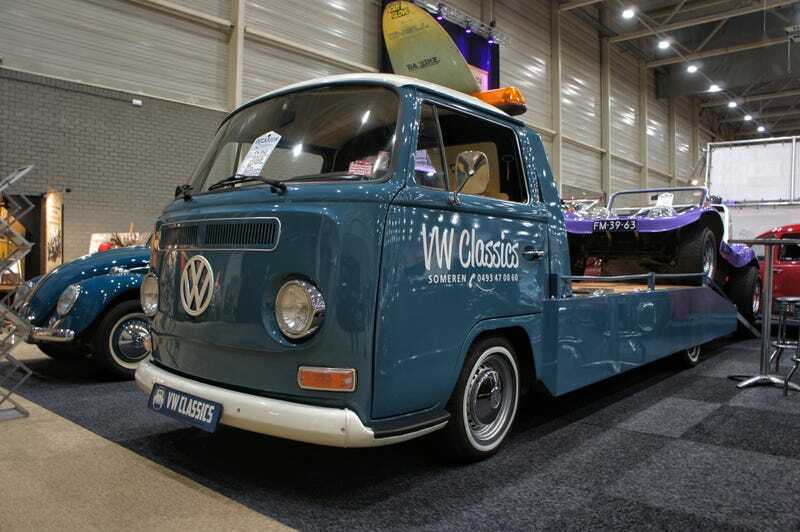 Spotted last weekend at Interclassics Maastricht: Some will call it Sakrileg or sacrilege as this amazing clean 1969 LWB VW Typ 2 T2 (Car) Transporter is fitted with a watercooled Subaru flat four. And no, not a turbo’d STI unit, just a humble 74hp 1.8. Has air suspension, ready for action. They’re asking quite a lot for it though: € 54,950.